These are really cool Solar System Models. The marbles for carefully selected for specific traits. A beautiful aesthetic & color combination resembling each planet. And also, a son that is big and bright. 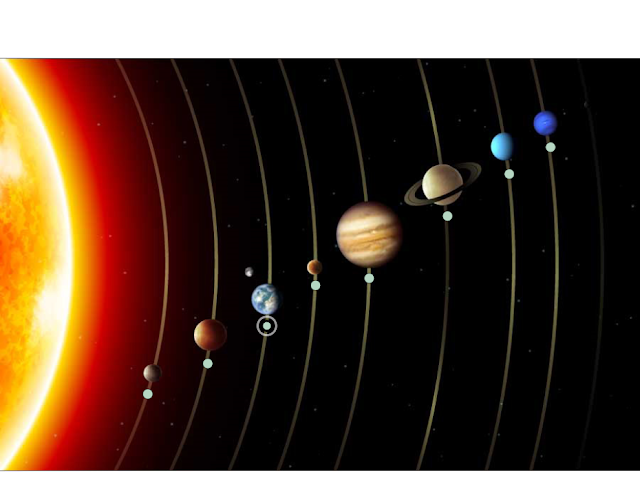 All the planets are astronomically correct in size. 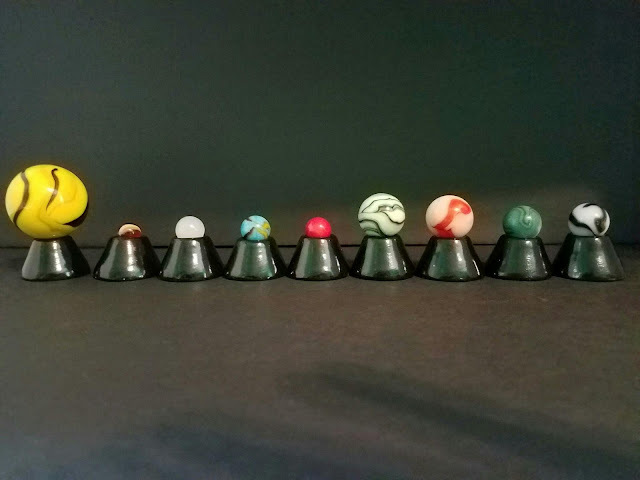 The Sun marble would be impossible to make big enough with marbles, so we have chosen the biggest, brightest marbles that they make. The Sun is approximately one and a half inch in diameter. 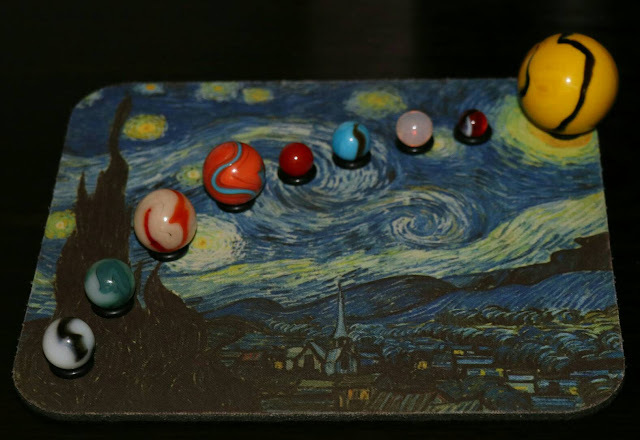 Your solar system set will come with marble holders so that your system can be displayed safely and attractively. It will also have a drawstring bag so that you can pack it up whenever necessary. 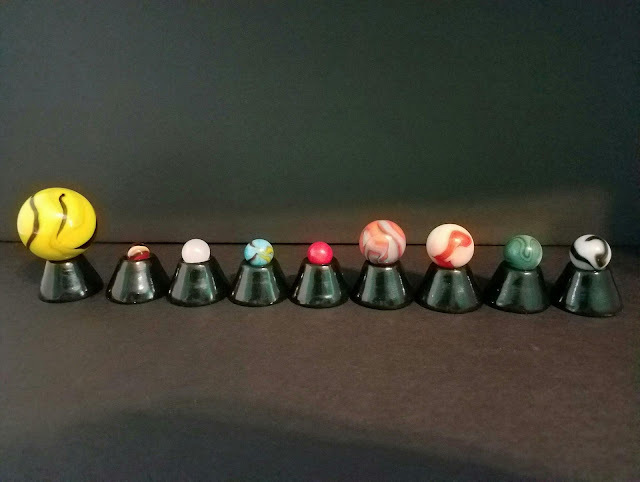 If you're interested please click on the custom marble orders page or, you can always contact us.